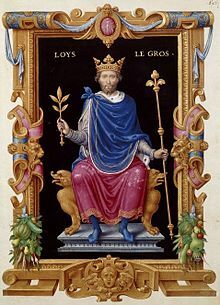 Louis VI (c.1081 – 1 August 1137), called the Fat (French: le Gros) or the Fighter (French: le Batailleur), was King of the Franks from 1108 to 1137, the fifth from the House of Capet. Chronicles called him "roi de Saint-Denis". Louis was the first member of his house to make a lasting contribution to the centralizing institutions of royal power. He spent almost all of his twenty-nine-year reign fighting either the "robber barons" who plagued Paris or the Norman kings of England for their continental possession of Normandy. 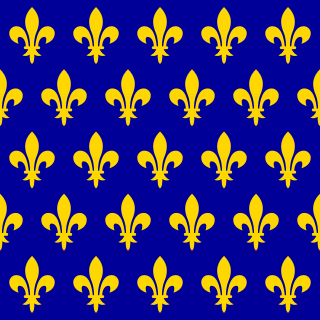 Nonetheless, Louis VI managed to reinforce his power considerably and became one of the first strong kings of France since the death of Charlemagne in 814. Louis was born around 1081 in Paris, the son of Philip I and Bertha of Holland. Louis married Lucienne de Rochefort, the daughter of his father's seneschal, in 1104, but repudiated her three years later. They had no children. On 3 August 1115 Louis married Adelaide of Maurienne, daughter of Humbert II of Savoy and of Gisela of Burgundy, and niece of Pope Callixtus II. They had eight children. Adelaide was one of the most politically active of all France's medieval queens. Her name appears on 45 royal charters from the reign of Louis VI. 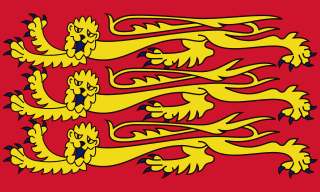 During her time as queen (1115-1137), royal charters were dated with both her regnal year and that of the king. 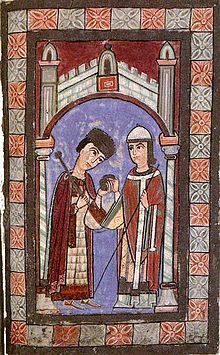 Suger became Louis's adviser even before he succeeded his father as king at the age of 26 on 29 July 1108. 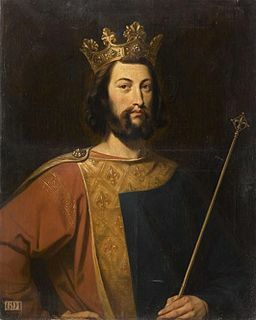 Louis's half-brother prevented him from reaching Rheims, and so Daimbert, Archbishop of Sens, crowned him in the cathedral of Orléans on 3 August. 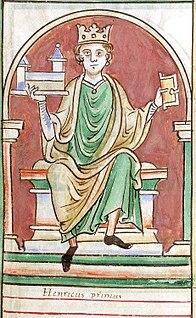 Ralph the Green, Archbishop of Rheims, sent envoys to challenge the validity of the coronation and anointing, but to no avail. In 1121, Louis established the marchands de l'eau, to regulate trade along the Seine. By 1119, buoyed by several successes and the capture (through treachery) of Les Andelys, Louis felt ready for a final encounter to end the war. In the fierce Battle of Bremule, in August 1119, Louis's troops broke and were routed, abandoning the royal banner and sweeping the King along with them in retreat to Les Andelys. A counterattack through Évreux to seize Breteuil failed, and Louis, his health failing, looked for peace. On 25 November 1120, Louis' fortunes against Henry I of England were raised when Henry's heir, William Ætheling, drunkenly perished aboard the White Ship en route from Normandy to England, putting the future of Henry's dynasty and his position in doubt. ^ "The Kingdom of the Frank to 1108", Constance Brittain Bouchard, The New Cambridge Medieval History, Vol. 4, Part II, ed. David Luscombe, Jonathan Riley-Smith, (Cambridge University Press, 2004), 126. "Probably in 1072, Philip married Bertha, daughter of the late count of Holland, Florent I, and stepdaughter of Robert of Frisia, count of Flanders. [...] For some years Philip and Bertha were troubled by their failure to have a son. The birth of the future Louis VI in 1081 was striking enough for a miracle story to grow up around the event [...]." ^ Abbot Suger: Life of King Louis the Fat, Chapter 1. ^ a b "The Historia Iherosolimitana of Robert the Monk and the Coronation of Louis VI", James Naus, Writing the Early Crusades: Text, Transmission and Memory, ed. Marcus Bull, Damien Kempf, (Boydell Press, 2014), 112. ^ a b c "France: Louis VI and Louis VII (1108-1180)", Louis Halphen, The Cambridge Medieval History: Contest of Empire and Papacy, Volume V, ed. J.R. Tanner, C.W. Previte-Orton, and Z.N. Brooke. The Macmillan Company, 1926. p. 596. ^ a b Robert Fawtier, The Capetian Kings of France, transl. Lionel Butler and R.J. Adam, (Macmillan, 1989), 21. ^ a b Jim Bradbury, The Capetians: kings of France, 987-1328, 132. ^ Gislebertus of Mons, Chronicle of Hainaut, transl. Laura Napran, (The Boydell Press, 2005), 68 n288. ^ Fourteen Charters of Robert I of Dreux (1152–1188), Andrew W. Lewis, "Traditio", Vol. 41 (1985), 145. ^ Ann Marie Rasmussen, Mothers and Daughters in Medieval German Literature, (Syracuse University Press, 1997), 9. ^ Isabella of Angouleme: John's Jezebel, Nicholas Vincent, King John: New Interpretations, ed. S. D. Church, (The Boydell Press, 1999), 202. ^ The Career of Philip the Cleric, younger Brother of Louis VII: Apropos of an Unpublished Charter, Andrew W. Lewis, "Traditio", Vol. 50, (Cambridge University Press, 1995), 111,113,116. ^ (FR) Jean Dufour, "Un Faux de Louis VI Relatif a Liancourt (Oise)", Bibliotheque de L'Ecole des Chartes Revue D'Erudition, January–June 1986: 46. ^ Robert Fawtier, The Capetian Kings of France:Monarchy and Nation 987-1328, transl. Lionel Butler and R.J. Adam, (Macmillan Education Ltd, 1989), 19. 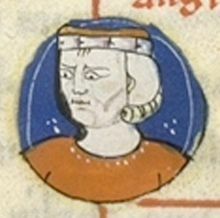 Fulk, also known as Fulk the Younger, was the Count of Anjou from 1109 to 1129 and the King of Jerusalem from 1131 to his death. During his reign, the Kingdom of Jerusalem reached its largest territorial extent. Constance of Arles, also known as Constance of Provence, was a queen consort of France as the third spouse of King Robert II of France. 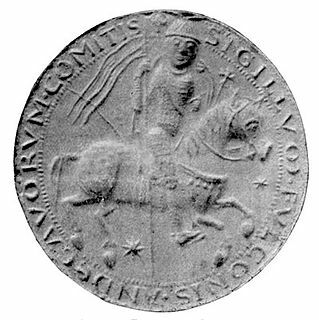 Adelaide of Vermandois was suo jure Countess of Vermandois and Valois from 1085 to 1102.